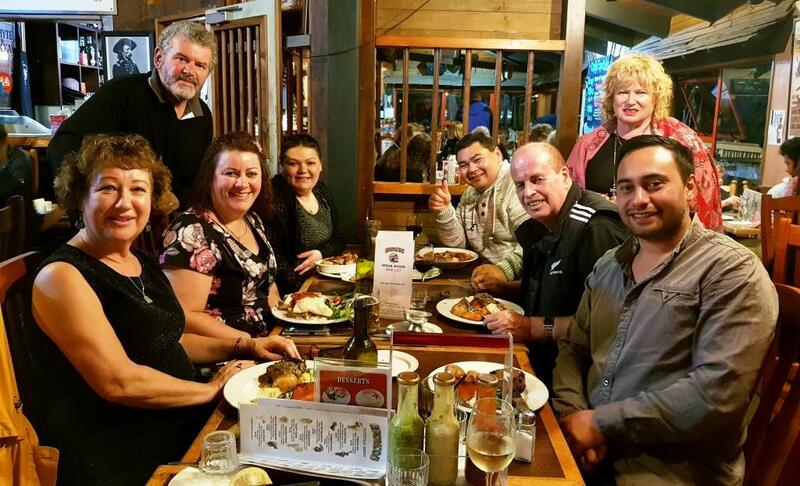 (13th April 2019) before heading over in 12 days time to take on the rest of the world..
Chu Thai Eatery in Ponsonby was a awesome venue for our Mid-Year Dinner 2019. Stretching the Legs at the 2.7km Hampton Downs Race Track.. "Great Day Out"
Enjoyable Mid-Year Dinner for all at Bronco's Steakhouse on a wet night 2018..
A Very Nice Relaxing Xmas 2017 HES NZ Family Dinner at our local "Pepperjacks"
Browny goes USA with SUV Jeep Compass... nice..
Mark with his boy Shaggy Belinda's Bearded Dragons..
Big Jackie and Little Spyro helping Darren in his office..
A perfect night at "PepperJacks" Pine Harbour..
500ml or 1000ml Milk Bottles " Rita Love's it"
An Amazing Reunion of ex and current employees bridging a celebration of many many years employment with a iconic 102 year old NZ Company..
A fantastic night with a priceless wealth of knowledge on display with funny and exciting experienances told over a beer or wine that brought back alot of great memories for all..
A special thank you to Neal, Maurice and Carlo for their hard work and to all who attended to make this such a successful reunion..
To the "Cookes" employees still going, Allan Scott (48-52yrs), Lofty (48yrs), Lorraine (33yrs), Laia & Terry thank you for your valued participation. 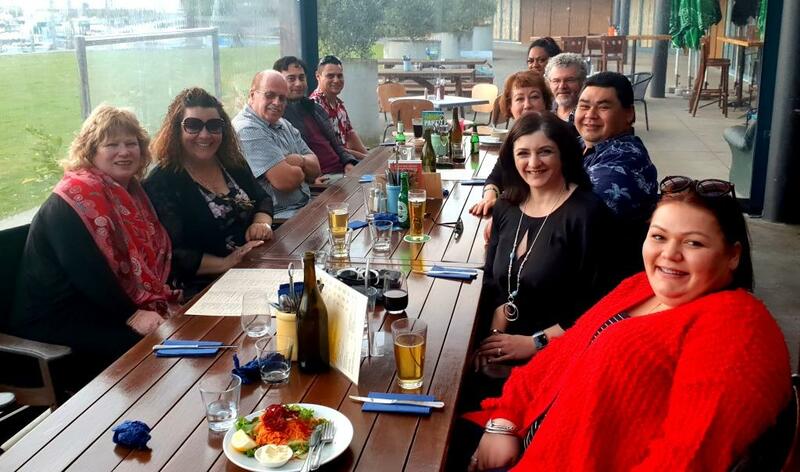 A Great night for all at our recent HES NZ Team Conference with guest supplier Rita from AMG Australia..
Sandy & Kim "HFM Solutions" Kristy & Chris "HEC Canterbury"